Happy 4th of July Magnolia fans! With The 4th of July just around the corner, it’s time to find the perfect outfit for any plans you have for that day! With a wide range of dresses, jumpsuits, and tee’s, Magnolia Boutique has something for everyone no matter what your day looks like. Here’s a sneak peek into what we have coming to you in the next few days. Make sure to keep a look out for your favorites as they go live on the site Tuesday, Wednesday, and Friday. Snag them before it's too late! You can never go wrong with a jumpsuit. They are comfy and add a pop of fun to your look! Be perfectly paired in red, white, and blue and have all eyes on you! Wear these outfits all day long at your 4th of July party. Nothing says Happy 4th of July than a fun and festive t-shirt or tank! They pair well with jean shorts, linen shorts, or even an adorable jean skirt. Keep it classy this 4th of July with one of our dresses launching this week! Throw it on with some sandals or heels for an unforgettable look. 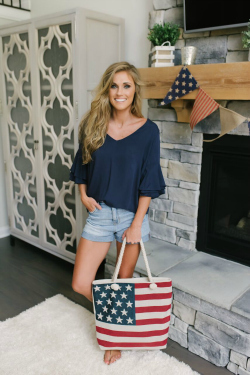 Don't forget to shop Magnolia this week to get these must have 4th of July looks! Don't wait to look amazing for this holiday!